UTM Solutions Dubai. Security is the strongest suit to offer peace of mind and deliver the best end results. Be it, the security of the premises or the data security, it is of utmost importance for an organization to run smoothly without any obstacles. So, what did we do to keep our data secure? Deploying the best antivirus or setting up the firewall alone is not going to fetch the results as the security can be compromised once the products are outdated or when the hackers know how to deal with it. This is especially true when a new hacking code is developed that virtually throws the entire antivirus software to the dogs. This is when the Unified Threat Management (UTM) comes into the picture. UTM put in the simplest terms is a group of security measures unified into one to deliver impenetrable data security for an organization. It is an all-in-one solution to manage several security solutions to give an overall protection to our organization. What solutions does UTM provide? These are the features offered by the UTM for the time being and are very much subject to change as and when there is a new threat that might compromise the security. UTM increases the protection and visibility multi-fold at the same time controls the network security and reduces the complexity. It employs the following methods to maximize the safety. • It employs the flow based or stream based inspection where it tests the data entering the network using a sample data to check if there is malicious content in the data flow. • The UTM device acts as a proxy in the proxy-based inspection, where the content first enters the UTM device, which in turn checks for any virus threats and malicious attacks. Once the UTM device is sure that the data is clean, only then it sends the data across to the end user. The Unified Threat Management is basically a single platform or a console for multiple security solutions and also a single interface to monitor, identify and analyze threats. Businesses can actually make use of the UTM solutions by simply deploying the UTM appliance that connects to the company network more like software that runs on a network server. Why Choose VRS Tech for Unified Threat Management Services in Dubai for data Security? VRS Tech is a gold and silver partner of Cyberoam and Fortinet for delivering high-level securities and performs UTM modules for the entire network infrastructure. 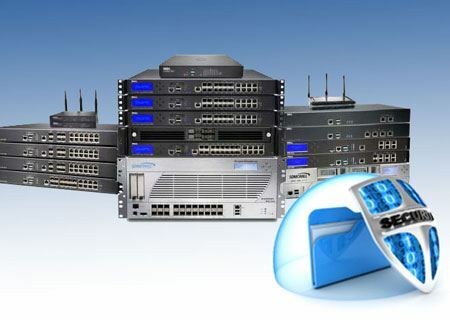 We have also partnered with WatchGuard and Sonic Wall to provide UTM services in Dubai For more information visit our website www.vrstech.com or contact us at +971567029840.